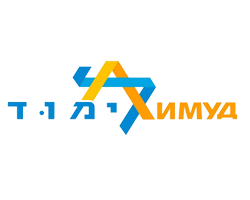 The project implemented the first Limmud conference in Western Ukraine, which took place in November 2012. Young adults from the region had asked for support in organizing a Limmud event for their community. Active planning for the conference began in late 2011. Organizing Committee members, who live in locations throughout Ukraine, used Skype, discussion groups, and social networks for their planning.The Organizing Committee also met for five 1-3 day planning retreats which took place throughout Ukraine. Most of the retreats were facilitated by the Limmud FSU Project Manager. The Limmud Uzhgorod conference was conducted almost entirely by volunteers. The conference offered a pluralistic Jewish learning experience which was intellectually stimulating, and fun. It provided a venue in which participants could learn and also could connect to the Jewish community. It fostered volunteerism and leadership. There were 15 lecturers from Israel, 15 from Russia, and 30 lecturers from Ukraine. Speakers included: Reuven Din-El, Israel’s ambassador to Ukraine; Igor Geller, Chair of Clinical Psychology at the Mechnikov Institute; Vladimir Paley, President of the Jewish Genealogical Society of the FSU; Arkady Monastyrsky, President of the Jewish Forum of Ukraine; and Igor Schupak, Director of the Tkuma Center for Holocaust Studies. Sessions encompassed a broad range of topics, including: Jews and Fashion; The History of Spanish Jewry; Jews and Television During the Soviet Era; Jewish Genealogy; Jewish History and the Holocaust; The Middle East Conflict; Relations Between Ukraine and Israel. The conference also included entertainment. Kosher food was provided for all participants. At the end of the conference, a committee of volunteers began planning for the next Limmud event.